Size: 1½ in. by 1¾ in. 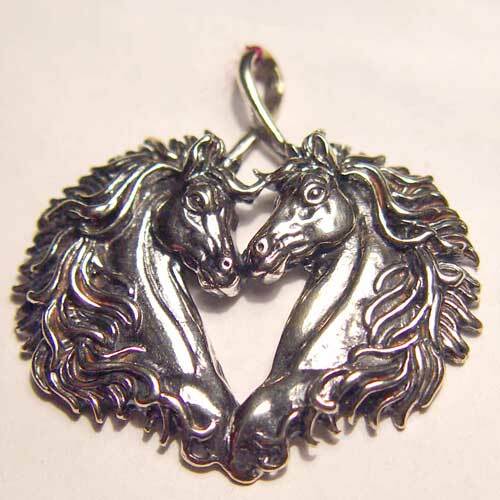 Desc: Sterling silver double horse head pendant. The horseheads face each other and have flowing manes. They form a heart shaped image. The pendant has a bright polish finish.